During past SU! events Cindy and I have taken a little road trip to see things in the cities (or neighboring states) that the events are held. This year we arrived in Salt Lake City at the same time on Wednesday morning and grabbed a rental car for half a day and ventured out. Over the years we have always heard Shelli (CEO of Stampin’ Up!) talk about her favorite store. So we went there and let me just say that it is totally a Shelli store! : ) I purchased a pair of pearl drop earrings and a nice scalloped t-shirt (dressy one). This is a beautiful store and they have so many lovely things for the home, body, and soul. Then we headed over to Thanksgiving Point to see Brick Canvas before we went to the Gardens. Having a little fun in the Secret Garden! Thanksgiving Point Gardens is a 50-acre slice of heaven. The photos do not do it justice and I just couldn’t get over the vibrant color and lushness of the area. A few of my favorite places here were the Secret Garden, Monet Lake, Koi View Pier, Italian Garden and the Waterfall Amphitheater. On Saturday after closing general session, we grabbed a quick bite of lunch and headed back to the hotel to wait for our tour. We took the Kennecott Copper Mine and Great Salt Lake tour from CityTours.org. Chris was our tour guide and gave us so much history and background of the areas. First we headed from the hotel to the Great Salt Lake. We were warned that it might smell like sulfur but to our amazement, it did not (thankfully)! Did you know that the Great Salt Lake is the saltiest lake in the western hemisphere? We then transferred to a small passenger van to drive up a very long and bumpy road in the Oquirrh Mountains to 9,000 foot elevation for a spectacular overlook views of the largest man-made hole in history. It is almost 1 mile deep and 3 miles wide. The Kennecott Utah Copper Mine in Bingham Canyon is the richest copper mine in history. Did you know that this hole is so large that it is visible from space? On the way up the mountain we saw some wildlife. 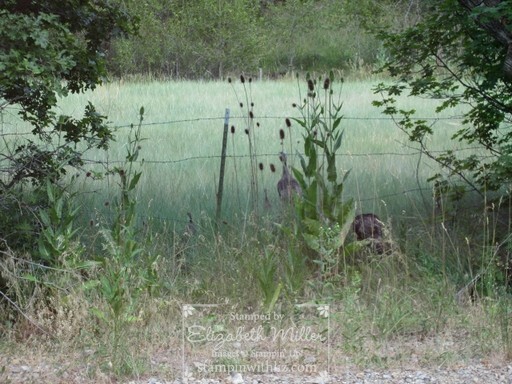 How about some wild turkeys and mule deer? On the way down, we spotted several mule deer but they ran very fast into the brush.